23/05/1902 – New Joint stock companies – Larkhall Fireclay Co Ltd to acquire as a going concern the Birkenshaw Fireclay Works and Colliery. Capital £5000 in £1 shares. 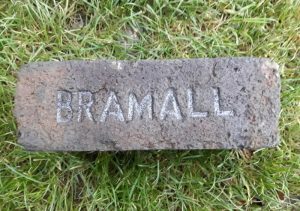 24/05/1902 – The Scotsman – New companies – The Larkhall Fireclay Co Ltd, Birkenshaw, Larkhall to acquire as a going concern the Birkenshaw Fireclay Works and Colliery. Capital £5000 in £1 shares. Subscribers – John Gemmell, Coalmaster, 60 St Enoch Square, Glasgow; John Borland, Tile manufacturer, Stonehouse, Lanarkshire; Alexander Frew, Coalmaster, Airdrie; A. Douglas Brand, Fireclay manufacturer, Linnview, Hamilton; David W Marwick, W.S, 18 Heriot Row, Edinburgh; Robert Osborne, Provisions merchant, 101 Hutchison Street, Glasgow; Will W Naismith, C.A, 158 St Vincent Street, Galsgow. 11/11/1904 – Hamilton Herald – Scap merchants successful defence – Sheriff Thomson has just issued his interlocutor in an action at the instance of Charles Bramall, Caledonian Works, Larkhall, against George Smith scrap merchant, Hattonhill. Carfin. The pursuer asked the Court to ordain the defender to deliver to him certain articles of machinery alleged to have been removed by the defender from the works of the Larkhall Fireclay Company Limited at Birkenshaw, and, failing his so delivering to the pursuer within such period as the Court should appoint to ordain the defender to pay to the pursuer the sum of £100 sterling. …………….Hamilton, 3rd November. 1904.—The Sheriff Substitute having considered the proof and whole process finds in fact (I) that the pursuer purchased the fixed machinery and plant of the Larkhall Fireclay Co. Ltd., from the liquidator of that company………..
Next Article Larkhall Brick Works, Larkhall, South Lanarkshire. Larkhall Silica & Coal Company Ltd, Larkhall, South Lanarkshire.